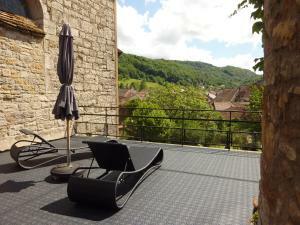 Set in a renovated, 17th-century convent, this B&B is in Arbois. 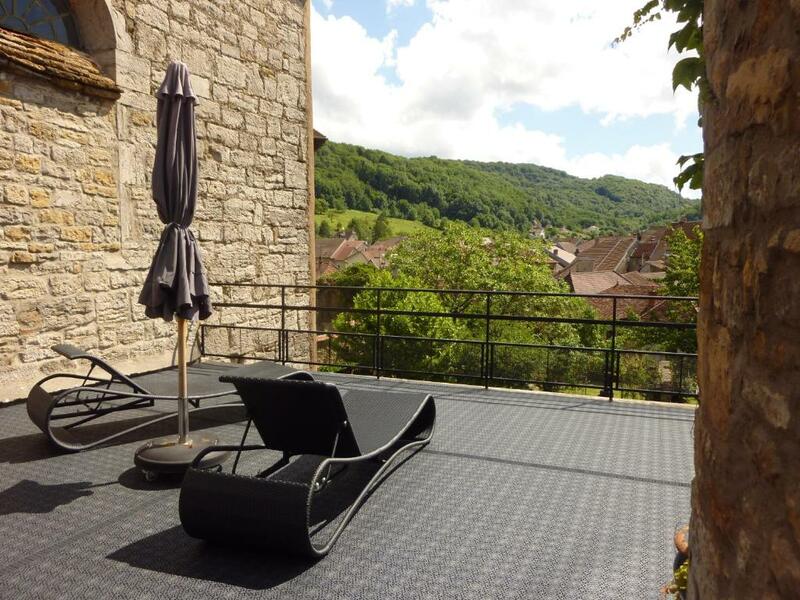 You can relax in the garden, by the plunge pool, in the sauna or on the rooftop sun terrace, from where you can watch the stars after nightfall. All of the rooms at Closerie les Capucines have a parquet floor and a contemporary décor. Each room features a TV, a desk and a private bathroom with a hairdryer, bathrobe and free toiletries. A continental breakfast with local jam and honey is included. It is served every morning in the breakfast room and guests can admire the garden views. Free Wi-Fi is provided throughout the property. Free bicycles are available to discover the area and Chamagnole is 23 km from the B&B. Offering garden and pool views, this room features a desk, a TV and a seating area. It also includes a private bathroom with a hairdryer, bathrobe and free toiletries. This elegant suite is made up of 2 bedrooms and has a parquet floor. It has a seating area, a TV and a fireplace. A hairdryer, bathrobe and free toiletries feature in the en suite bathroom. Offering garden and pool views, this spacious room features a desk, a TV and a seating area. It also includes a private bathroom with a hairdryer, bathrobe and free toiletries. This elegant suite has a parquet floor. It has a seating area, a TV and a fireplace. A hairdryer, bathrobe and free toiletries feature in the en suite bathroom. Extras in this suite include a balcony and extra space. Please contact the property before arrival to give them your mobile phone number. Contact details can be found on the booking confirmation.